Ever since the Preah Vihear Temple in Cambodia was inscribed in the UNESCO World Heritage List in 2008, I've been wanting to go. 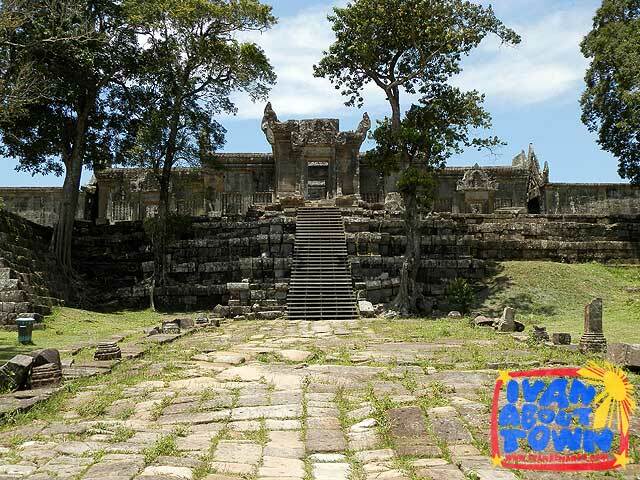 Among the numerous temples buult during the Khmer Emprie, Preah Vihear is said to have the most spectacular setting, built on top of a 525-meter cliff with fantastic views of the plains below. After many missed opportunities to visit Cambodia the past few years, I was finally back. 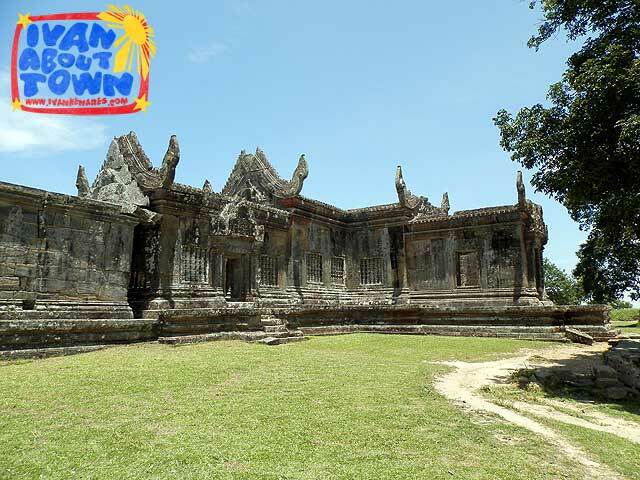 And the first thing I asked was where to find a day tour to Preah Vihear Temple from Siem Reap. Surprisingly, it was not easy to visit the temple. First, few people know about it which is both good and bad. Good because you'll have this majestic temple built on a cliff all to yourself (so enjoy this Khmer masterpiece before tourists start the invasion). Bad because demand then to visit is not high. 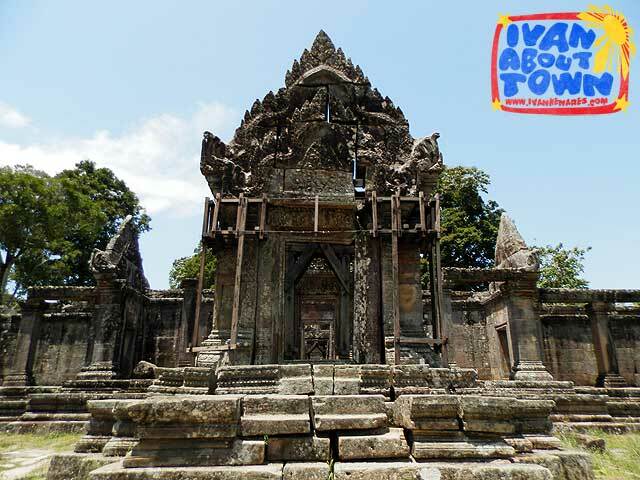 So the second problem is that there are no regular group tours to going to Preah Vihear. And you'll be constrained to rent a vehicle which is expensive if you are alone. It was also not easy finding a vehicle. Well it was, but they'd usually charge you over US$200 for the day trip, too much if I was going alone. Some tour companies charge per head and won't give you car or van rates but the all-inclusive cost that includes lunch and your guide. Plus I couldn't find people who wanted to go really badly to share the costs with me. While I got some people interested, they'd get scared away by the rates. A Cambodian friend also told me that they got to rent a car several months ago for just US$100. So the overcharging was quite evident. 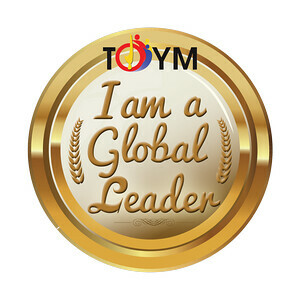 Good thing a day before my visit, a local partner offered to call a friend to get a friendly rate. And a friendly rate I got! Regular price is US$150 (contact details below). 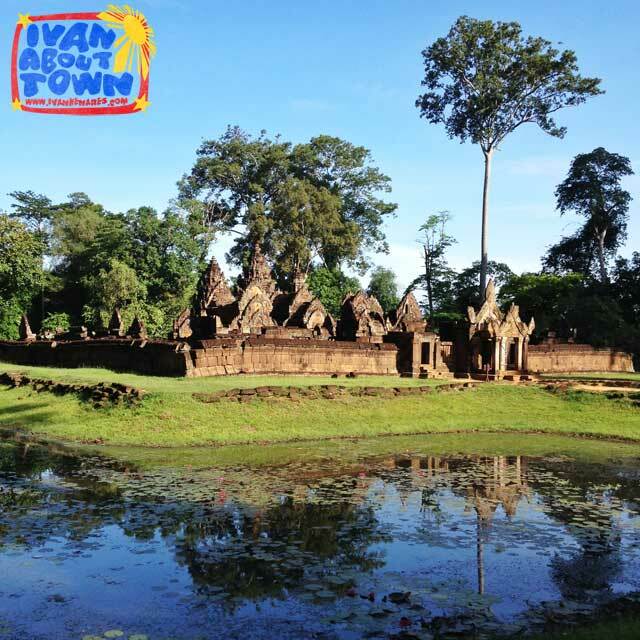 So the visit to Preah Vihear was on! 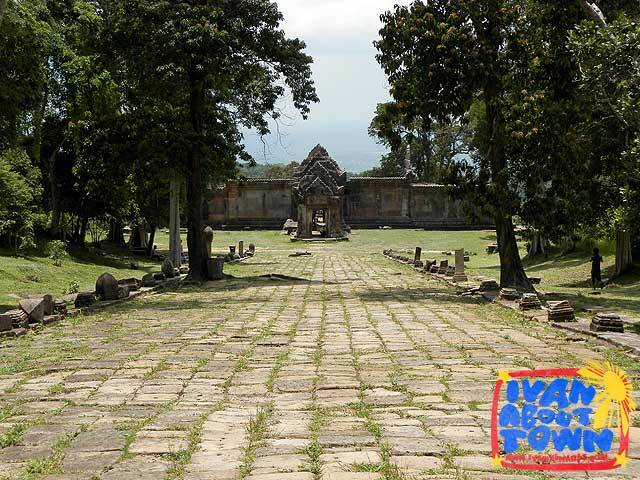 It takes nearly four hours to get to Preah Vihear. 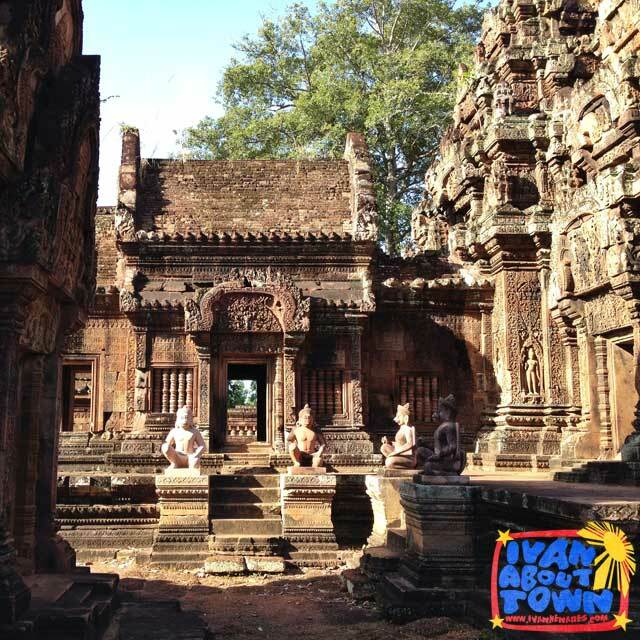 Along the way, you could opt to pass by temples of the Angkor complex, especially a bit far from the main temple group like Banteay Srei, the exquisitely carved red sand stone temple dedicated to Shiva. 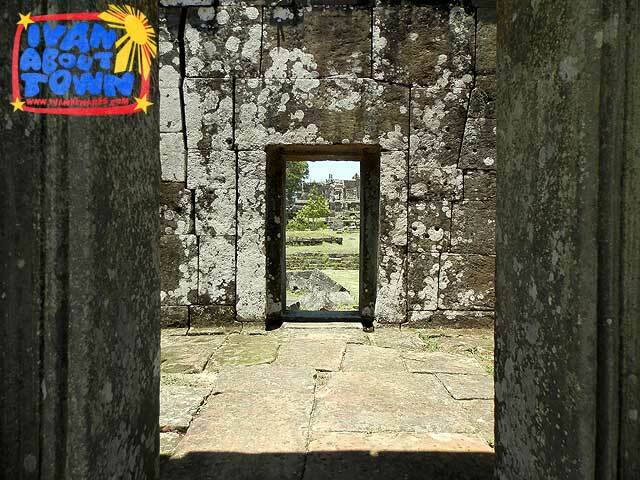 But note that you will need an Angkor pass to visit, a day-pass costs US$20. Before you could visit the temple, you have to pass by the ticket office at the foot of the mountain. 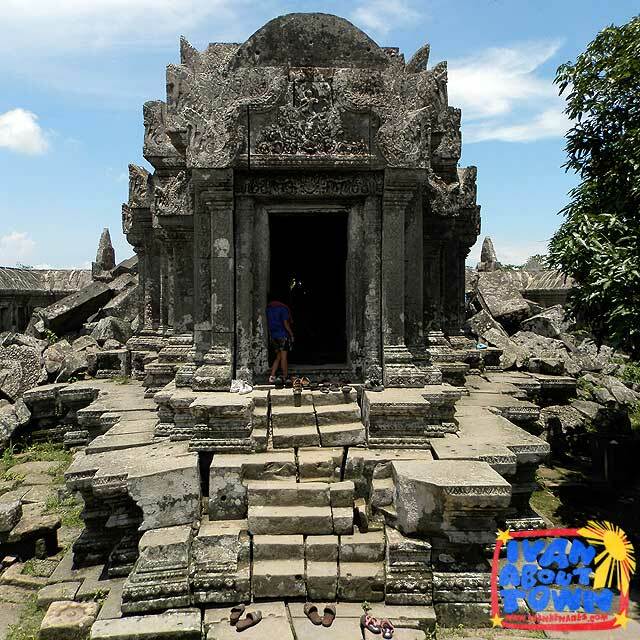 Entrance is free (as of posting), but you have to register with your passport and they will issue you a ticket which you will have to show at two ticket inspection areas, at the foot of the mountain and right before the temple. Despite roads being well-paved most of the way, your rented vehicle, unless it's a 4x4, will not be allowed up since it can get really steep. 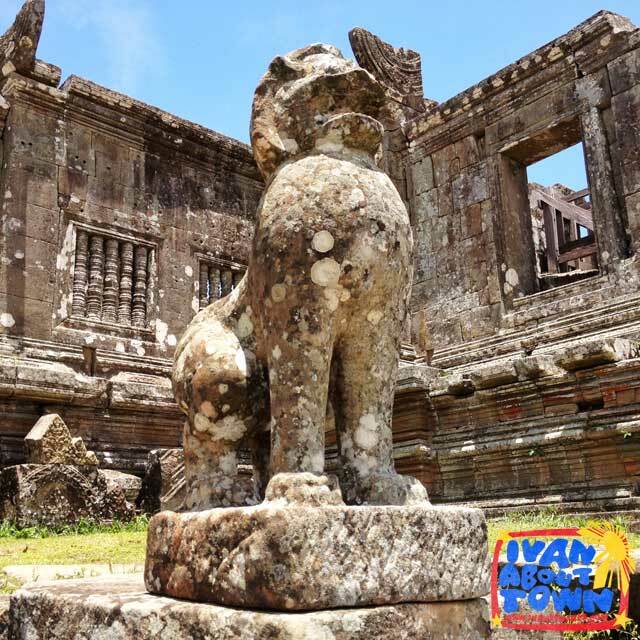 So you will have to hire a motorcyle taxi (US$5 per person round-trip) or a pick-up truck (US$25 round-trip) also at the ticketing office to get you up to Preah Vihear Temple. By now, it should be nearing lunch. So expect it to be extremely hot and humid. The temple complex is nearly a kilometer long, oriented along a north-south axis. So in total, you will be walking close to two kilometers under the sun. But it's most definitely worth it. 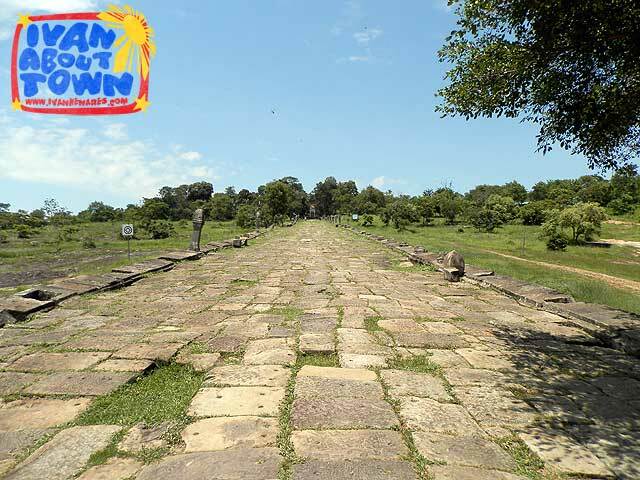 Preah Vihear Temple is a series of causeways, steps, gopuras (entrance pavilions) and courtyards before you reach the inner sanctuary. It takes about an hour and a half to two hours to make it to the main sanctuary and back to the drop off point where the motorcycle taxi waits for you. 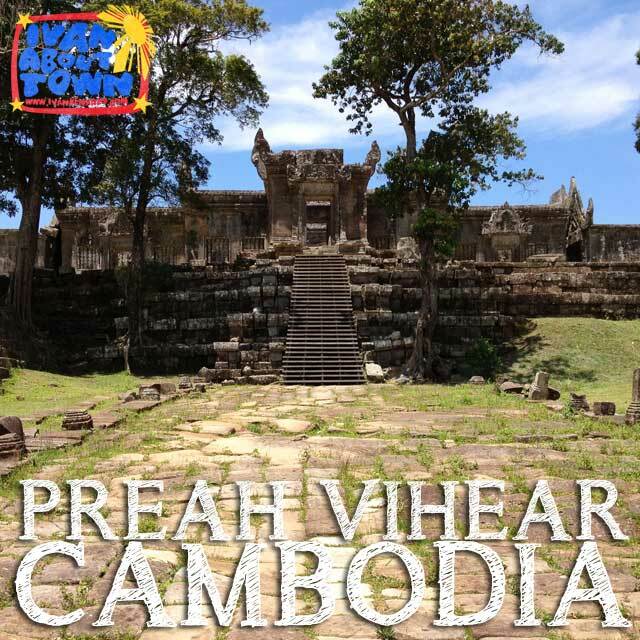 Just like most Hindu temples in Cambodia, Preah Vihear was converted to a Buddhist temple. Despite being ruined today, Buddhist pilgrims still visit and pray at its inner sanctuary. 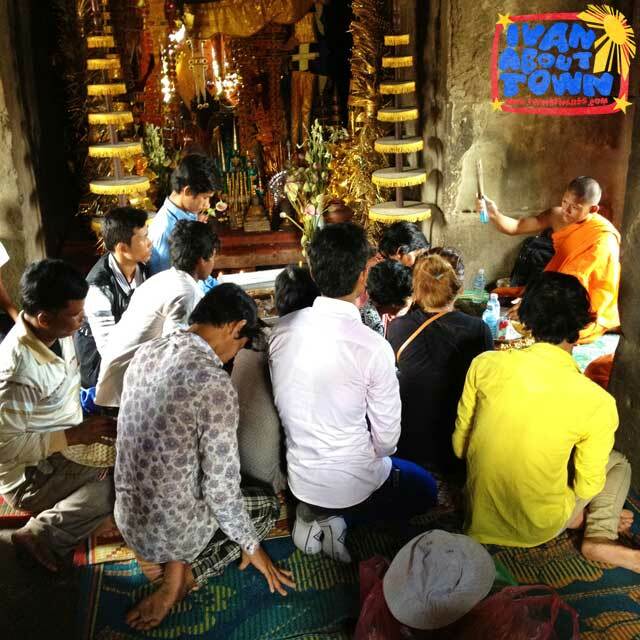 I saw a group of pilgrims chanting led by a young Buddhist monk who would bless them after their prayers. You will go down the same route. And as you near the end, while walking along the causeway, you will notice the Thai flag flying a few meters on the right, a reminder that Preah Vihear Temple has been at the center of a Cambodia-Thailand border dispute for the past few decades. 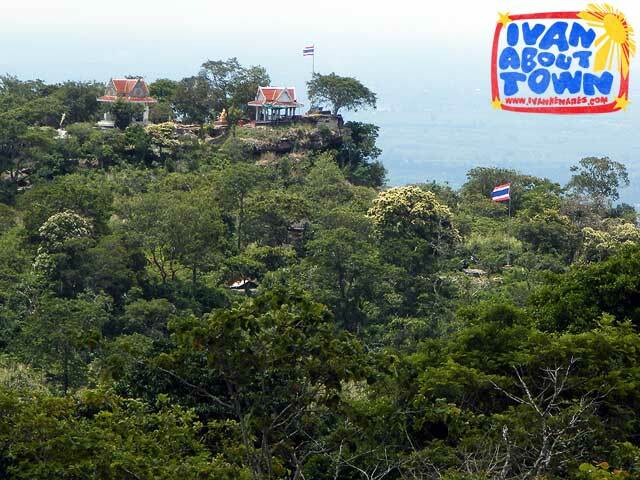 The border with Thailand is just a few meters away and access to Preah Vihear was easier from the Thai side. But I was told the Cambodian side decided to close the border as things got a bit bad. After my visit, we went straight to lunch. My driver had suggested a very popular restaurant 20 kilometers away called Phkay Prouk Sroem Restaurant. 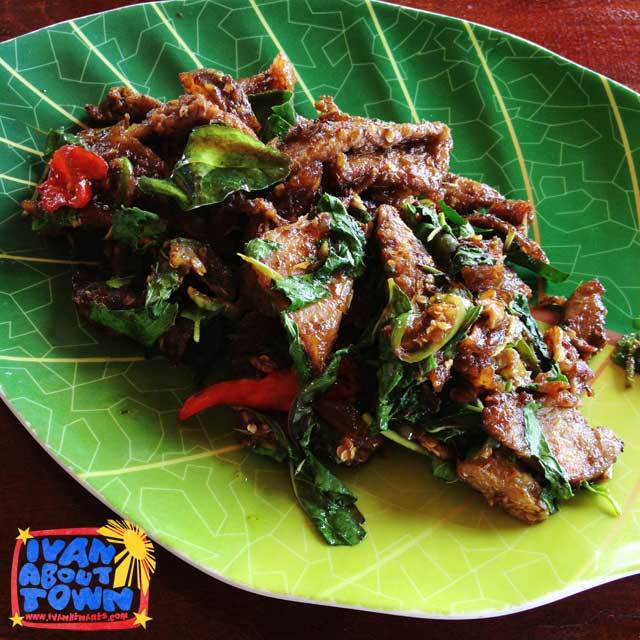 They serve exotic dishes such as wild boar, deer, rabbit, snake and monitor lizard. The meats are sautéed with eggplant (a small green variety), kaffir lime leaves, chili and maras prov (a viariety of basil). I ordered wild boar and my driver got monitor lizard. And what surprised me is that I only paid US$11 for our food and drinks, about US$5 per person. And to think the serving size of each dish was good for two! Back in Siem Reap, we passed by Pre Rup Temple before calling it a day. It's one of the favorite places to catch the sunset. But unfortunately, there was none today. We left before 7 a.m. and we were back before 5 p.m., with a lot of time to spare before my evening flight back to Manila. Join our Nepal tour from August 21-28, 2013!